Don't click through to look at the larger sizes! Looks much better small... then you can't see the faults. Goodness knows why I spent yesterday evening doing this when I have a hundred things to do for the Escape Plans...it is for this competition, which I am finding a little bit odd. Why? Well, to my mind the nicest prize is the picnic, for which you just have to tweet. But the best cake wins what they make sound like a bit of a second-best prize. 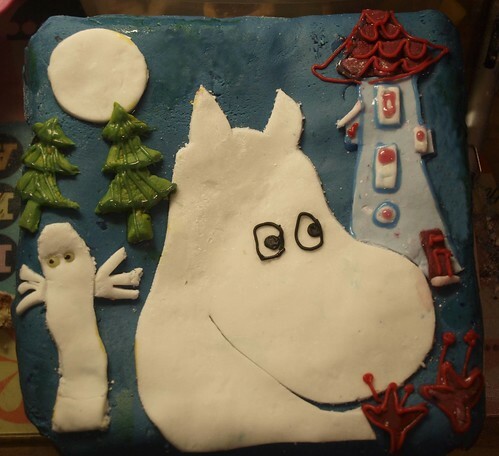 Never mind, we just enjoyed the idea of making a moomin cake, and we have a picnic to go to this afternoon so... why not?